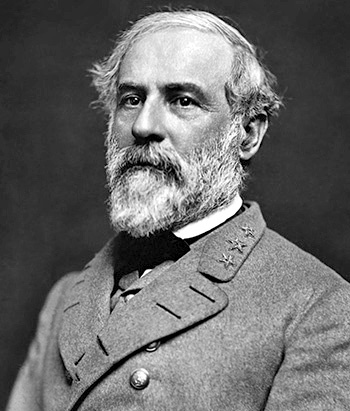 Robert E. Lee, son of Revolutionary War hero Maj Gen Henry Lee III, was born on January 19, 1807, in Stratford Hall, Virginia. He entered the U.S. Military Academy at West Point on July 1, 1825, graduated 2nd in his class, and was commissioned a 2d Lt in the Army Corps of Engineers on July 1, 1829. His first assignment was as an engineering officer to Cockspur Island, Georgia, from 1829 to 1831, followed by service at Fort Monroe, Virginia, from 1831 to 1834. His next assignment was as assistant to the Chief Engineer of the Army in Washington, D.C., from 1834 to 1837, and then as an engineering supervisor for the St. Louis harbor from 1837 to 1841. Capt Lee served at Fort Hamilton, New York, from 1841 to 1846, and served as one of Gen Winfield Scott's chief aides during the beginning of the Mexican-American War, during the march from Veracruz to Mexico City. During the war he fought at the Battle of Cerro Gordo on April 18, 1847; at the Battle of Contreras on August 19-20, 1847; at the Battle of Churubusco on August 20, 1847; and he was wounded at the Battle of Chapultepec on September 12-13, 1847. He was promoted to Brevet Major after the Battle of Cerro Gordo, and to Brevet Lieutenant Colonel and Colonel before the end of the war. 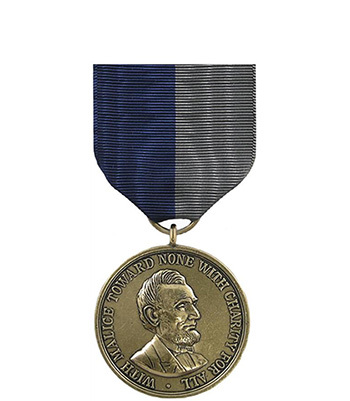 His next assignment was as an engineer at Fort Carroll in Baltimore Harbor from 1848 to 1851, followed by service as Superintendent of the U.S. Military Academy at West Point, New York, from 1852 to 1855. Col Lee transferred to the Cavalry in 1855, and served as second in command of the Second Cavalry Regiment at Camp Cooper, Texas, from 1855 to 1857. He returned to Virginia to oversee his father-in-law's will from 1857 to 1859, and then commanded militia soldiers and Marines to attack the abolitionist raid on Harpers Ferry, Virginia, from October 16-18, 1859. He then returned to Texas, where he served at Fort Mason from 1859 until Texas seceded from the Union in February 1861. After returning to Washington, D.C., he was appointed Colonel of the First Regiment of Cavalry in March 1861 by President Lincoln, but he resigned his commission in the U.S. Army on April 20, 1861. Lee took command of the Virginia State Forces on April 23, 1861, and then served as the commander of Confederate forces in western Virginia until November 1861, when he was made commander of the Department of South Carolina, Georgia, and Florida. Gen Lee served in this position until April 1862, and then served as military adviser to Confederate President Jefferson Davis from April to June 1862. His next assignment was as commander of the Army of Northern Virginia from June 1862 to January 1865, followed by service as General-in-Chief of Confederate Forces from January 1865 until the war ended in April 1865. During the war, Gen Lee commanded Confederate forces at the battles of Cheat Mountain, Seven Days, Second Manassas, South Mountain, Antietam, Fredericksburg, Chancellorsville, Gettysburg, Wilderness, Spotsylvania, Cold Harbor, Deep Bottom, and Appomattox. After the war he served as president of Washington College in Lexington, Virginia, from October 1865 until his death on October 12, 1870. Robert E. Lee was buried at Lee Chapel at Washington and Lee University. His United States citizenship was restored by Act of Congress and signed by President Ford on August 5, 1975, posthumously restoring his citizenship to June 13, 1865.